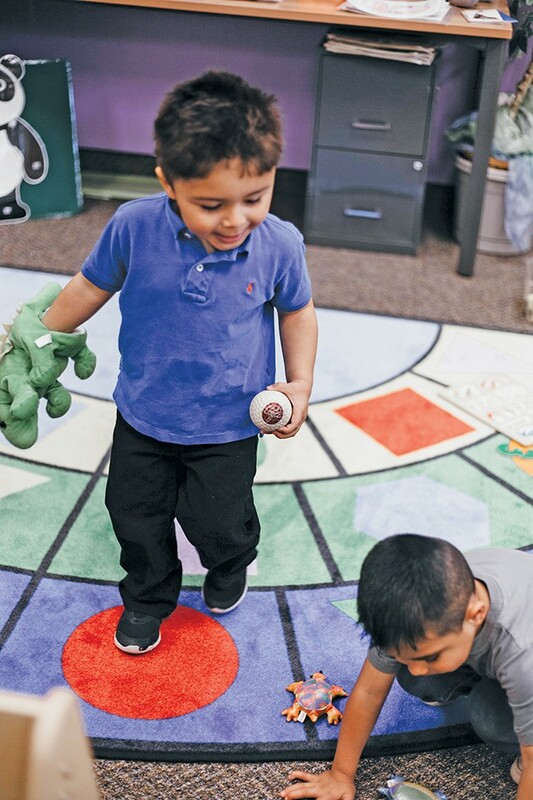 Longtime Salt Lake City residents might have already heard about Guadalupe School, a nonprofit organization designed to meet the educational needs of refugee and immigrant families in the lower socio-economic bracket. But what you might be unaware of is the degree to which this school is changing lives. "A lot of people know that we help out an immigrant population in Rose Park, but they might not know how," Cassie Bingham, the school's communications specialist, says. In fact, Guadalupe School currently has five programs targeted at all ages. Though it was originally founded as an English as a Second Language (ESL) program in 1966, it has evolved significantly since then. Now there is an in-home program for parents with babies, focusing on parenting skills; a toddler program for children ages 2-3 in which kids can receive literacy-based care every week; a preschool program designed to ensure school readiness with structured small and large groups; a charter school program for elementary-school-age children, focusing on literacy, college-readiness, physical exercise and art; and an adult education program. The latter also offers more than ESL, including U.S. citizenship classes, some childcare, limited transportation and snacks. "The program is aimed at providing a route for future success for people who don't have normal access to things that more affluent peers would have," Bingham says. By hitting the needs of all age groups, Guadalupe School is helping multiple generations of people at the same time. "I like working toward a unified cause, like community social good," says Bingham, who is in her second year with Guadalupe School and also works as part of the development team. Bingham loves the school's motto: Transforming lives through education. "That's a really noble cause; I don't know who wouldn't want to work toward something like that," she says. The public charter school at Guadalupe, which currently serves 300 students, also provides unique learning experiences for kids. Recent field trips included a visit to the State Capitol, This Is the Place Heritage Park and Tracy Aviary. Unique learning opportunities also arose when the folks at Intermountain Therapy Animals brought in a few dogs and trainers to see the kids this past fall. For those who need a little extra help, there's an after-school program for tutoring and enrichment activities. If readers are interested in supporting Guadalupe School, check them out online and watch for their fundraisers throughout the year. All proceeds from events go to the school. Those interested at volunteering or donating can also reach out to them through the website.